The London skyline seems to be changing by the day! 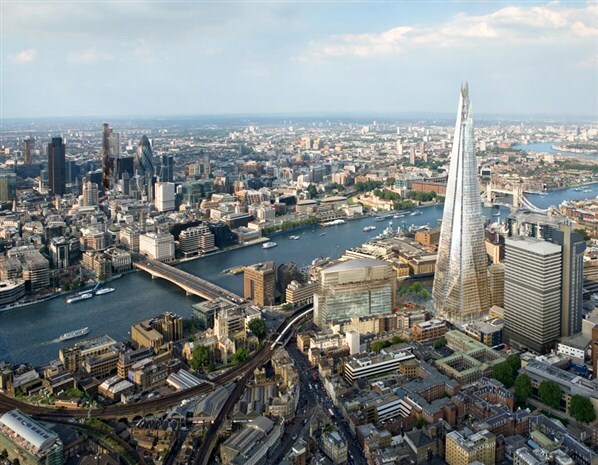 Meet London’s Shard, an 87-story tower in Southwark, which is officially the tallest building in Europe. There’s something spookily Lord of the Rings about it, am I right? (Or at least Mission: Impossible – Ghost Protocol). It’s currently opening with 26 floors of vacant office space. The only tenant so far is the Shangri-la Hotel, which is using floors 34 to 52. Read more about it. Posted on 6, July 2012, in architecture and tagged London, Shard. Bookmark the permalink. Leave a comment.